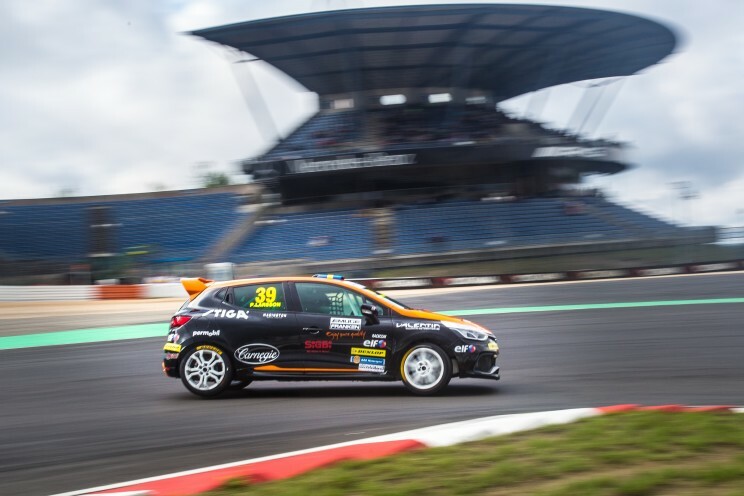 Renault Clio Cup is operated together with STCC, which sometimes calls the class a support class. The name has a kind of subsidiary sound, but closer to the truth is that in Swedish racing, all competitors depend on one another. We are a small country with a small number of race car drivers in relation to the small population. But Sweden also has many race tracks in relation to the population and participants. It is therefore important to keep the classes together, compete simultaneously and provide a comprehensive and entertaining product, an attractive package. The Renault Clio is a single-make class in the STCC package, no more and no less. Here we have Renault Clio Cup/Junior SM 2016. The best way to buy tickets and find more information about the tracks and the races is to visit the STCC website.